Somewhere in the 1970s, health became a national obsession. Theories abound on why this took place, but I think it's clear that the primary reason was a desire by the Boomers to hang on to their youth. This was, after all, the "I hope I die before I get old" generation. Getting fat and ugly was simply not an option during the Sexual Revolution. There were discos to go to and key parties to attend! 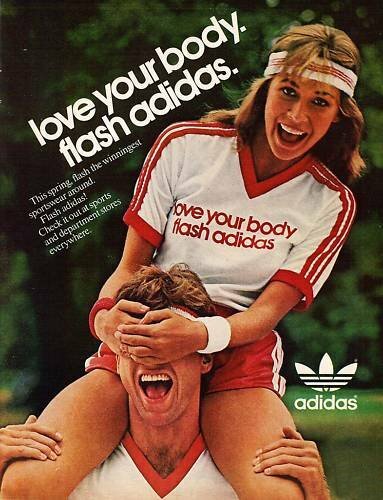 Before the fitness craze, you didn't see a lot of athletic brands other than track suits. People didn't wear Nike or Adidas clothes in the 60s or even early 70s; however, once the fitness craze hit, these athletic brands were everywhere you looked. Sportswear and fashion had merged. Indeed, memberships to health clubs boomed as the country's 76 million Baby Boomers fought to keep signs of age at bay. In the 50s and 60s, sporting events were all well and good, but fitness training was out of the question - that looked too much like work. In the 70s, it seemed the Boomers would do anything to improve their health and fitness. At this same time, Venice Beach was starting a massive trend in bodybuilding - filling up fitness centers with even more sweaty bodies. I have a distinct memory of when the fitness bug bit my own family. It literally happened overnight at the Gilligan homestead. One day I'm eating Frankenberry, the next day I'm eating bran flakes with the consistency of raw twine. The soda was removed from the pantry and replaced with fruits and nuts. It rocked my world. Do you remember that novelty song "Junk Food Junky" about a man who pretends to be a health nut, but secretly wants his Twinkies and Pop Tarts? I hated that song, but it was dead-on accurate. Largo CAPITAL A, CAPITAL C.
My mother went on a health kick in the late 70's. The soda, little powdered doughnuts and sweet cereals were all gone. She also started putting wheat germ on everything. Back then I thought it tasted like how I imagined sawdust would taste. That is funny! 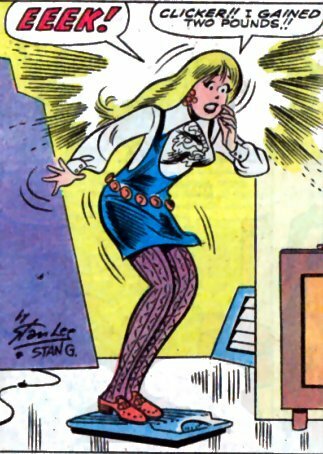 However I am intrigued by her brown hotpants and go go boots? The guy in the top photo is Lionel Rose, the first Australian aborigine to win a world boxing title.